To Paraphrase, I'll Say It in My Own Words! 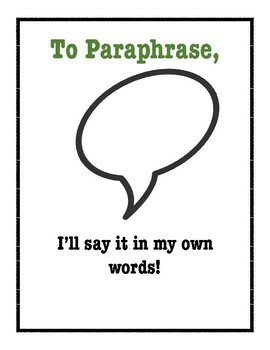 Paraphrasing is an extremely difficult skill for students to grasp. It is important for many different types of writing. 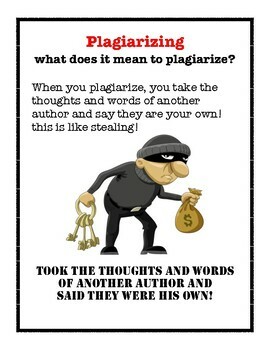 Students who don’t correctly acquire this skill will not only develop into poor writers but might even choose to plagiarize. 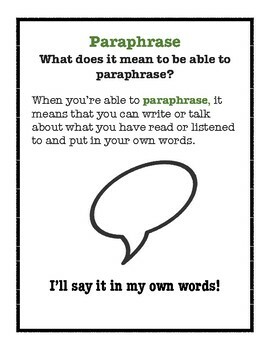 This instructive and engaging resource will teach students the RAP strategy for paraphrasing text in three easy steps! 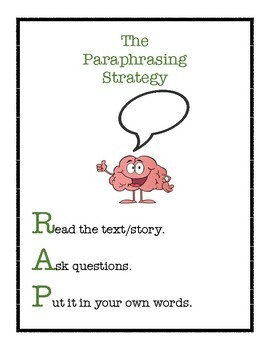 Also included with this resource are two RAP Strategy for Paraphrasing!